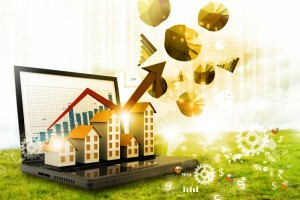 [Masterclass] Is Timing The Market Really That Important For Property Investors? The answer may surprise you as I share so of the latest research we conducted at Metropole. 7 lessons you can take away to help you understand how to make sense of the current property market downturn. What can an investor learn from this? There are multiple property markets around Australia at the moment – some are still growing, others are poised for growth and some markets will experience falling prices over the next year. Rather than trying to time the market, buy the best assets you can. Timing your purchase well will give you a one-off bonus. However, owning the right property – an “investment grade asset” that grows at wealth producing rates of return will see your portfolio outperform over the long term. At times of poor or no capital growth, strategic property investors “manufacture” capital growth through property renovations or development. Booms never last forever, neither do busts. Don’t be surprised when they come around and don’t overreact. This will help you avoid being sucked into booms and spat out during busts. Our property markets are not only driven by fundamentals, but also by the often irrational and erratic behaviour of an unstable crowd of other investors. While the long-term performance of property is influenced by the fundamentals, its short term performance is much more affected by market sentiment. Recognise that property is a long term play and set up financial buffers to help you ride the property cycles.